Iconic American footwear brand VINCE CAMUTO offers quality, innovative product at surprising value. 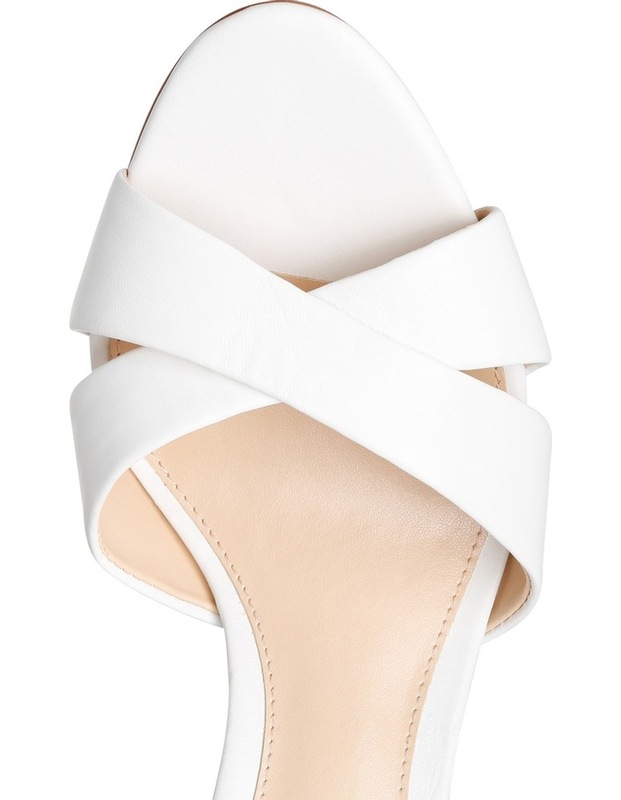 White cross-front sandal with ankle strap. Leather upper with non-leather sole. Heel height 80mm.